Snowman Wearing A Blue Scarf, Red Ear Muffs, And A Santa Hat To Show Off His Holdiay Spirit! This Snowman is the perfect decoration for your holiday display!!! 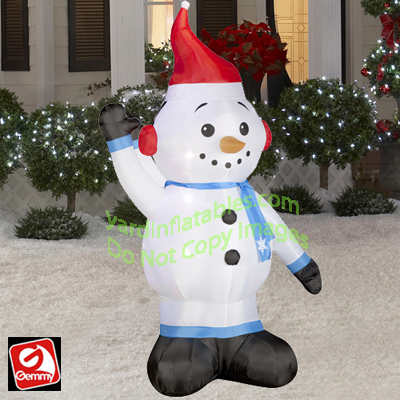 What better decoration could you have besides a Snowman inflatable!! !